Global Music Award-winning heavy metal group ENEMY REMAINS recently announced the upcoming release of their new album "No Faith In Humanity," hitting digital and physical retailers on Jan. 20, 2017 (pre-order via iTunes). 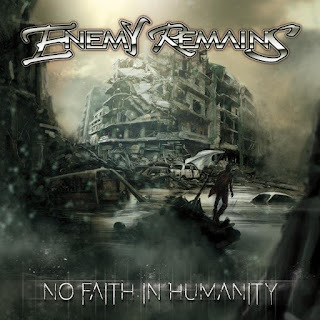 After charging out of the gate with the release of their thunderous title track "No Faith In Humanity" (watch video here), ENEMY REMAINS are wasting no time by immediately unleashing their second single "Trust In No One." Take a listen to this unrelenting melodic metal offering via BraveWordsnow: bravewords.com/news/exclusive-enemy-remains-featuring-original-fates-warning-drummer-steve-zimmerman-warn-you-to-trust-in-no-one-new-track-streaming. Guitarist Tommy Blardo said, ""Trust in No One" was written as a fast, driving aggressive style with the roots of our progressive side on the verses and very hooky choruses. Lyrically, the track conveys the idea that only YOU can control the path you're on and to never rely on false promises. Only you can make a difference in your own life." 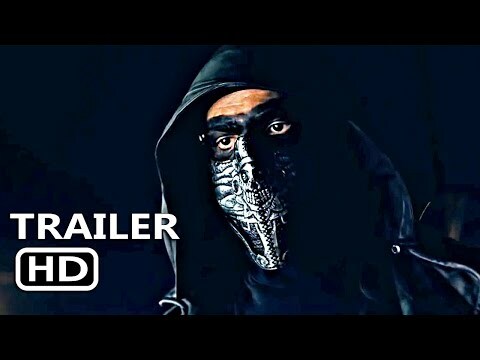 "No Faith In Humanity" features pre-production by Jeffrey Weed (Trivium, Korn) and Maor Appelbaum (Faith No More, Sepultura, Halford). The album was recorded, engineered and mixed by Nick Bellmore (Toxic Holocaust, Jasta, Kingdom of Sorrow) at Dexters Lab Recording, and mastered by Chris Zeuss Harris (Rob Zombie, Queensrÿche, Hatebreed). Previously, Blardo said, "I think our fans are going to be very surprised with the new direction of the band. On this release, we're very focused on vocal melodies and driving songwriting, while still finding room for those anthem-like choruses. Don't worry though, being driven by Steve, we're definitely keeping the progressive sound we've always been known for. We worked really hard on the new album and we're excited to share it with our fans." In anticipation of the upcoming release, ENEMY REMAINS will perform their first local event of 2017 on Jan. 13 at Toad's Place in New Haven, CT. The band will perform as part of a two-day fest, also featuring Alcoholica (classic Metallica tribute from CT with all original line up feat. Kai Blackwood, Ross Ragusa, Ron Celentano, & Opus Lawrence), Sworn Enemy, Dead By Wednesday, Revenge Against God, The Shape and Devil Inside. Also just announced, ENEMY REMAINS will perform with Nonpoint on Feb. 8 at The Webster in Hartford, CT. The second stage opens at 5:00 p.m. and the main stage opens at 7:00 p.m.
Visit webstertheater.com for more information.